Being a die-hard steelhead angler in Northern Michigan, March is by far one of my favorite months. As the first whispers of spring fill the air, chrome steelhead can be found throughout most Great Lakes tributaries in pursuit of their annual spawning mission. Early spring temperatures and aggressive steelhead bring great fishing opportunities that will be opening up throughout the month. Since we’ve had such a brutal winter, it’s made it impossible to fish many tributaries across the Great Lakes due to the amount of ice that has built up. Meanwhile, I can’t wait for the warmer weather to arrive. Although every angler has their favorites, there are many methods and techniques to target pre-spawn steelhead. While fishing for these “fresh” river steelhead, it’s hard to beat fresh spawn for bait. Throughout the year, spawn bags are one of my top producing baits, but there is no other time that I use spawn bags more than March. While fishing spawn bags, my favorite styles are float fishing and bottom bouncing. Each method has their days when they work best. I bring both set-ups with me on the river. Generally, I bottom bounce floater spawn bags in holes that are too deep and/or fast to effectively float fish. With temperatures rising, snow melting and water levels increasing, many holes that you might generally float fish during the fall/winter may be moving fast. Therefore, your float fishing rig may not be able to get your bait down in the hole without using a lot of weight and a big float. On the other hand, bottom bouncing set-ups allow you to add as much weight as you need to get your bait down to the bottom and to slow down your drift. I usually like to float fish holes that have a medium/slow current speed and that are 4-10’ deep. Float fishing is definitely my most productive method while fishing for rather “finicky” pressured fish, but it also works great for hot, aggressive fish. While fishing spawn, having good bait can play a big roll in success. When faced with low and clear water conditions I like to cure my spawn in Pautzke’s Natural BorX O Fire. My favorite colors of spawn bag netting in low and clear conditions are peach, chartreuse and white. However, once the temperatures start to rise in the early spring, rain and melting snow will result in high and dirty water conditions. When these conditions are present I’ll switch to brighter baits. I also alter my cure too. My favorite cures for high and dirty conditions are Pink and Red BorX O Fire and Fire Cure and spawn bag netting in red and pink. Another popular method for pre-spawn March steelhead is swinging streamers. Swinging streamers for early spring steelhead is one of the most exciting styles of fishing. A streamer is a fly that generally imitates a minnow or leach. Streamers are generally fished with a fly rod. The term “swinging” comes from the way your line works while preforming this style of fishing. I like to cast across the hole, downstream from where I’m standing, at a slight angle. Then, you’re line will make an arc and will swing your streamer across the hole until it’s straight behind you downstream. There is nothing better than having a steelhead attempt to steal the rod right out of your hand! If I’m fishing smaller streams, then I’ll like to use a 9’6” or 10’ single-handed fly rod. If I’m fishing a bigger tributary, where a long cast is necessary, then I’ll like to use a 11’-13’ spey or switch rod. These two rods will allow you to preform the “spey cast” which will allow you to cast your fly up to and farther than 100’. Some of my favorite streamers to use while targeting pre-spawn steelhead are spey buggers, egg sucking leaches and big wolly bugger patterns. Throughout the Great Lakes most tributaries will be holding steelhead in March. We simply need water levels and temperatures to rise. 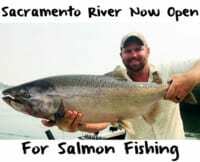 Most of the smaller tributaries that don’t hold winter steelhead will start seeing their first steelhead of the year during the month of March, which will open up many great fishing opportunities throughout the spring. As stated above, these “chrome bullets” will be making their way up the tributaries in pursuit of their annual spawning mission. 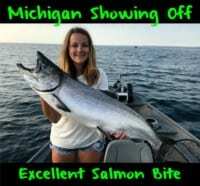 With that being said, almost every stream that connects to the Great Lakes and that has a decent water flow will be holding steelhead during the spring months. As they enter the river systems, steelhead can also be found at the mouths of rivers and in lakes that have a Great Lakes tributary that flow through them. 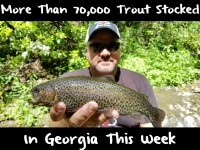 These are also a couple of my favorite places to check for March steelhead. As a die-hard steelheader in Northern Michigan I’m excited for March. With the warm spring temperatures right around the corner, make sure to get out and take advantage of some of the best fishing opportunities in the world! With this brutal winter coming to an end, I can’t wait to be fishing some of my favorite rivers, in warmer weather, for my favorite fish! Editor’s Note: Kyle McClelland operates XXL Chrome Chasing. For more info please visit http://www.chromechasing.com/.